This is the last day of this amazing release! Today it’s time for Tin Roof, it’s so easy to create beautiful backgrounds using this stampset! I stamped with versamark on a light grey cardstock to get a tone on tone effect and then used my prisma colors to color some of the flowes in. 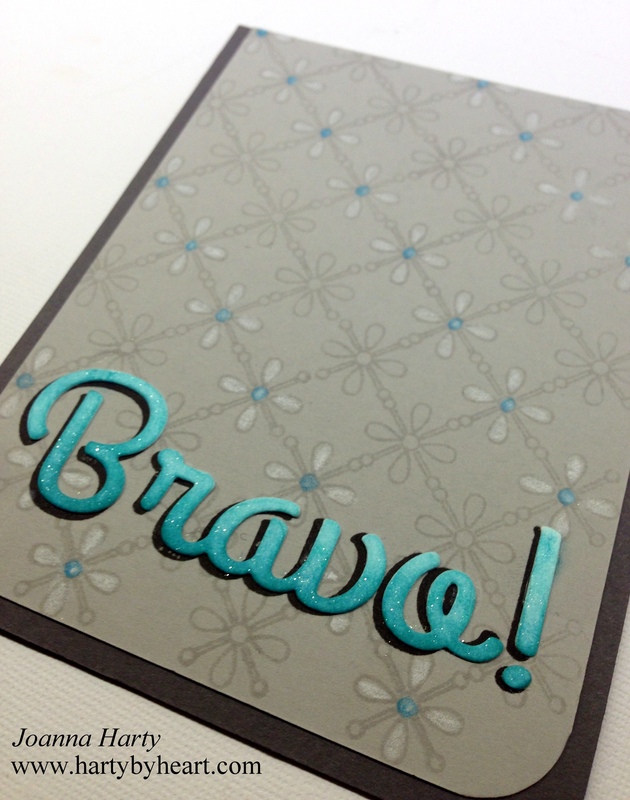 The sentiment is a diecut that I inked up with distressink and wink of Stella clear glitter. This entry was posted in Uncategorized on April 29, 2016 by Joanna Harty. BEAUTIFUL card! Love the colors you used and the background you created is awesome. How lovely!!! 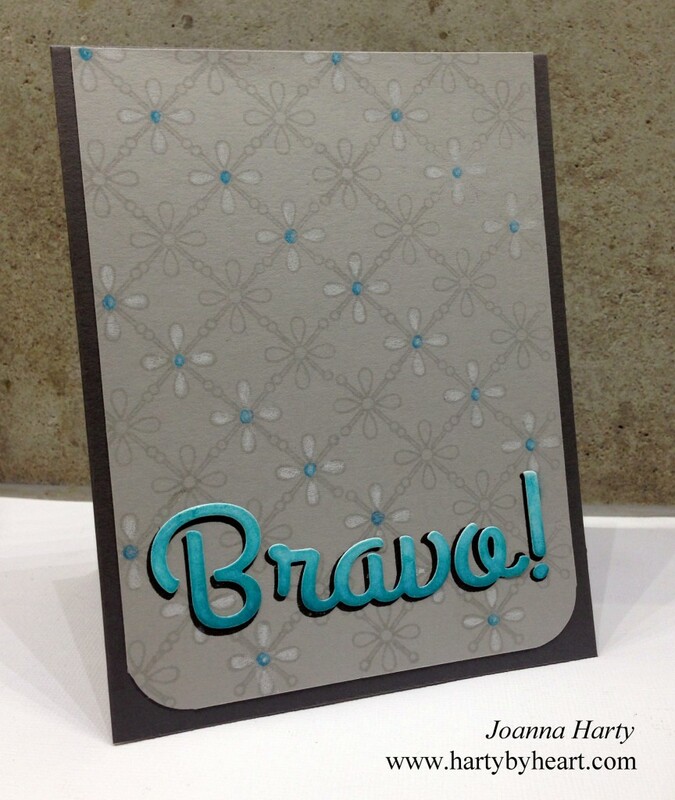 The background you created is fabulous and I LOVE the bright, shiny sentiment! !